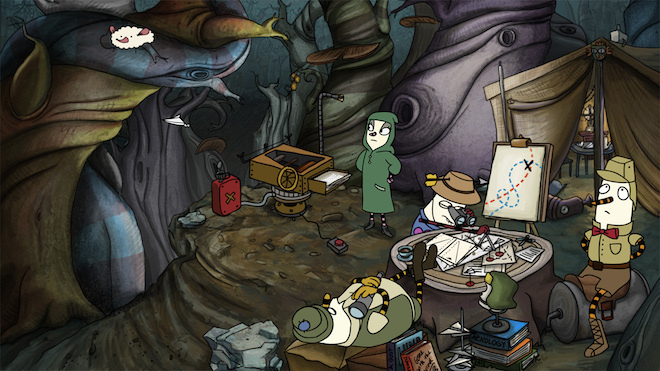 The Inner World is a point and click 2D game, along the lines of Machinarium. But although the gameplay might seem familiar, the game has its own story to tell. So let us take a look at the insides of The Inner World. 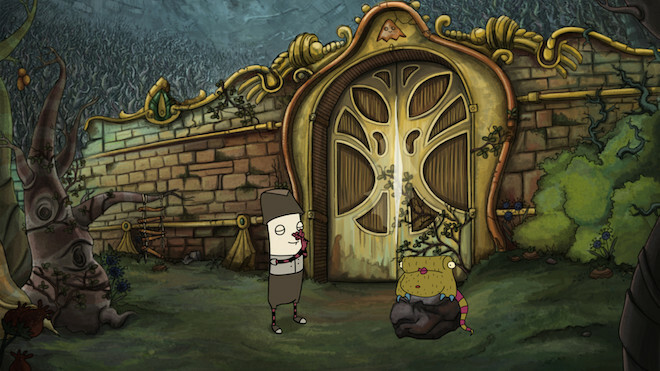 As mentioned before, The Inner World is a point and click 2D game. 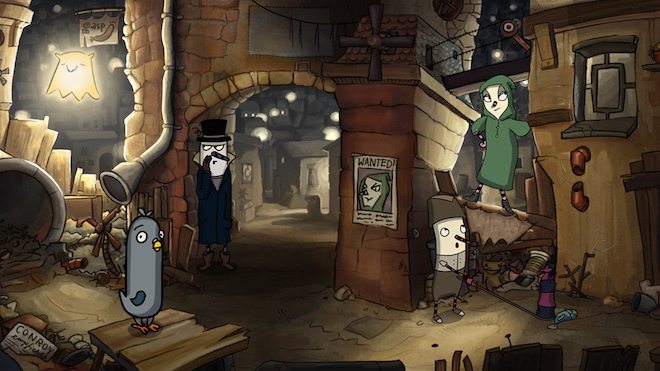 As we have seen in the past with games like Machinarium and Botanicula, this style of gameplay works brilliantly on touchscreen devices, even more than on the PC, where these games often debut. In The Inner World, you control a character named Robert. There are five major levels in the game, with several subsections that you move back and forth between. It is essentially a puzzle game at heart, so most of the time you are clicking on things to collect objects and having conversations with people you find in the game’s universe, often to get them to do something for you or get something from them. There is one main objective but to get to that you’ll have to go through many smaller hurdles. You have to observe the environment around you and collect whatever items that you can. Thankfully, the game helpfully tells you what all points you can click to interact with instead of just having you randomly click on everything hoping something would work. The puzzles in the game range from fairly obvious to absurdly complicated. Many of the puzzles in the game will result you in getting completely stuck as the game demands far too much from you. If you find yourself stuck like this, you should try going back and finding something you may have overlooked or talk to someone to get additional information from them (they’ll have more info to give if you happen to have an object that you previously did not) or try combining two or more of the objects that you have collected. But if none of this works, you will have to rely on the game’s hint system. The hint system is pretty sophisticated and starts off by giving subtle hints to just push you in the right direction without spilling all the beans at once but if you are feeling completely lost you can prod it further to get more direct instructions. The hints also change depending upon the objects you have collected, so instead of telling you to go get something the game will tell you to use what you have already collected. The hint system in the game is very good, which it has to be, considering how often you tend to get stumped. It needs to be mentioned that a substantial part of the gameplay simply involves chatting with people. Not everything they tell is useful and often it feels like you’re doing idle chit chat. Fortunately, the game’s dialogue is well-written so rarely you will find yourself bored. Still, if that’s something you’re not into then the game could seem slow and meandering. 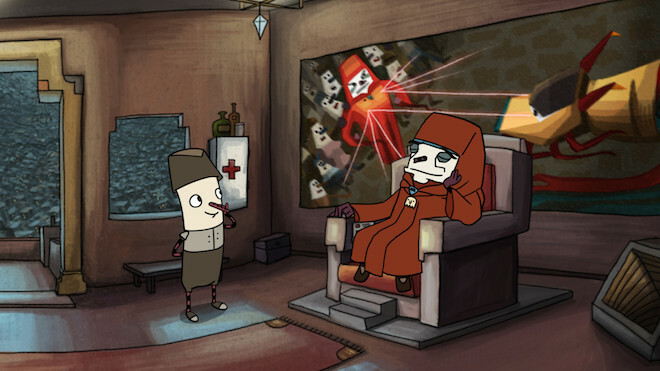 The Inner World is a hand-drawn 2D animated game. 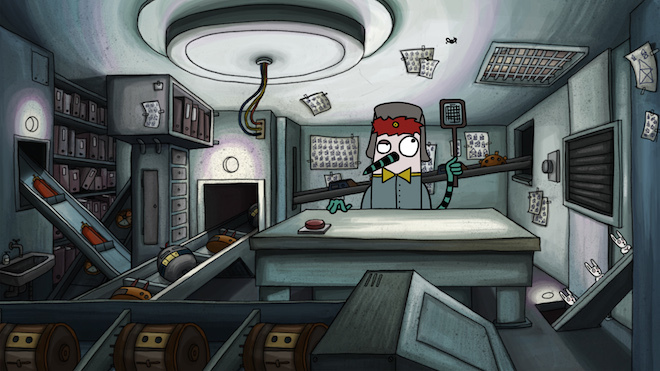 I hate drawing comparisons to Machinarium repeatedly but this game’s art style does remind me of Machinarium quite a bit, which is to say it’s very good. I personally get tired of seeing realistic 3D visuals in games all the time so something simple like this feels like a breath of fresh air. For some odd reason, the game runs on a much lower framerate on iOS than on Android, where it runs perfectly smooth. I’m not sure if this is a case with all iOS devices or just the iPad Air I was playing the game on (which has had issues with some games in the past, possibly due to the 64-bit architecture). On Android, however, I was disappointed to see that the game does not use immersive mode on devices running KitKat, which for a game launched in mid-2014 is inexcusable. The soundtrack of the game is pretty good too, with separate pieces for different levels that match the mood of the level. But what I liked most about the sound is the dialogue, which is well-written, and the superb voice acting by all the cast members. Considering how much conversation you have in the game, it’s important to have great dialogues and voice acting and the game delivers on both fronts. 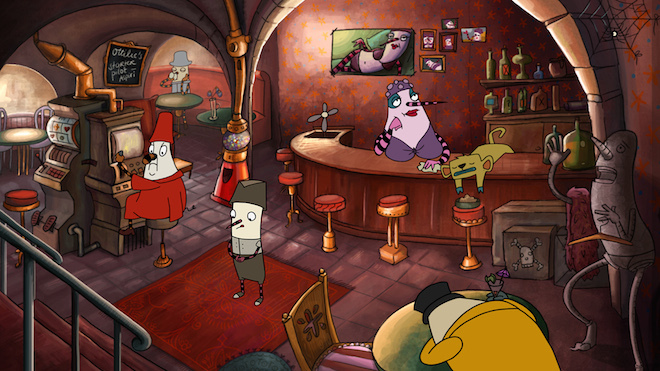 The Inner World seems like just another point and click puzzle game at first but fortunately, that’s not the case. The story does not carry much weight but the game impresses through delightful conversations, of which there are many in the game, fiendishly difficult puzzles, and charming visuals. 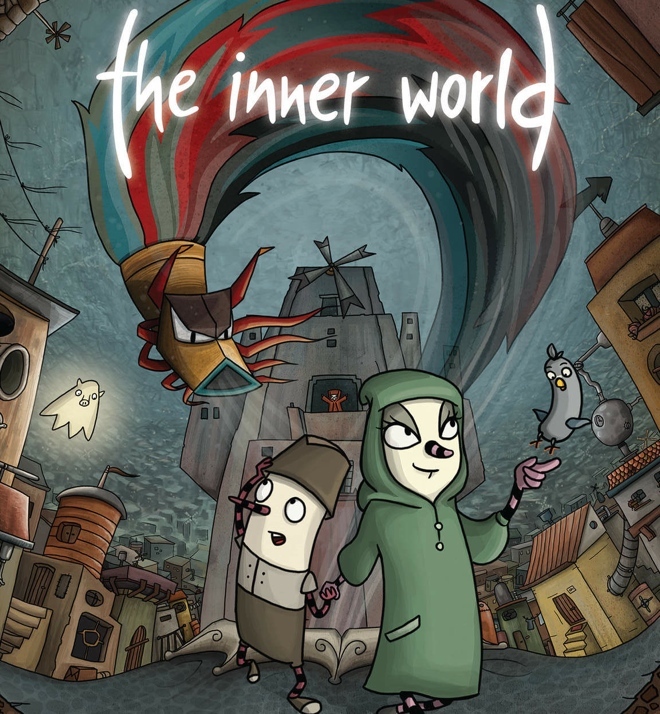 If you’re looking for a laid-back game to enjoy on a quiet Sunday afternoon, then The Inner World would be a fantastic choice. The game was reviewed on an iPad Air and Nexus 5.